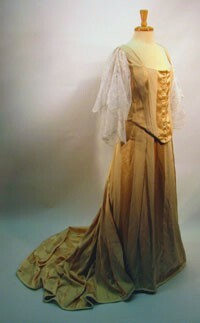 This is the ball gown in its as originally built configuration. 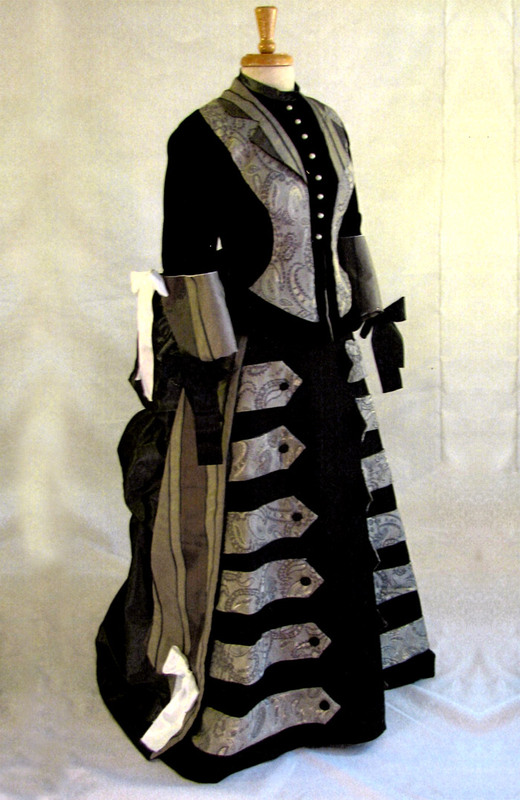 The ‘chinoiserie damasque’ was limited in quantity so the back of the bodice and the train panels in the skirt are made of black silk velvet creating a pleasant dramatic addition to the garment design. 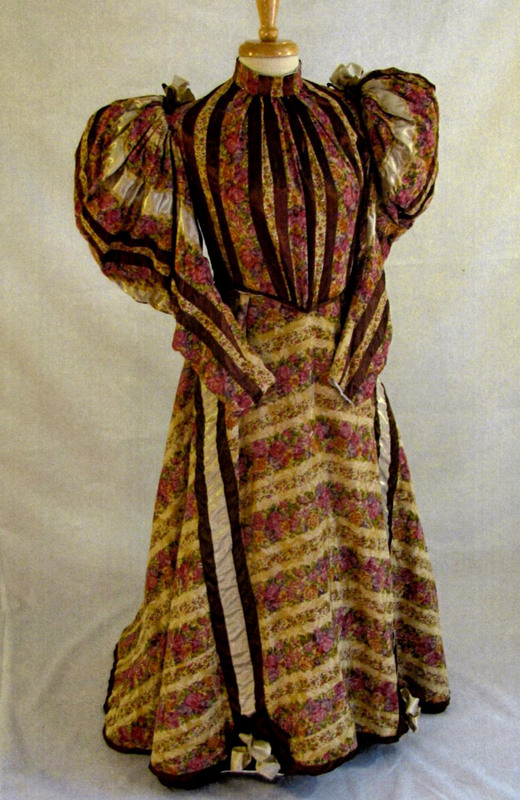 The adaptability of a period pattern from the excellent pattern company Past Patterns is clearly shown in this creation. 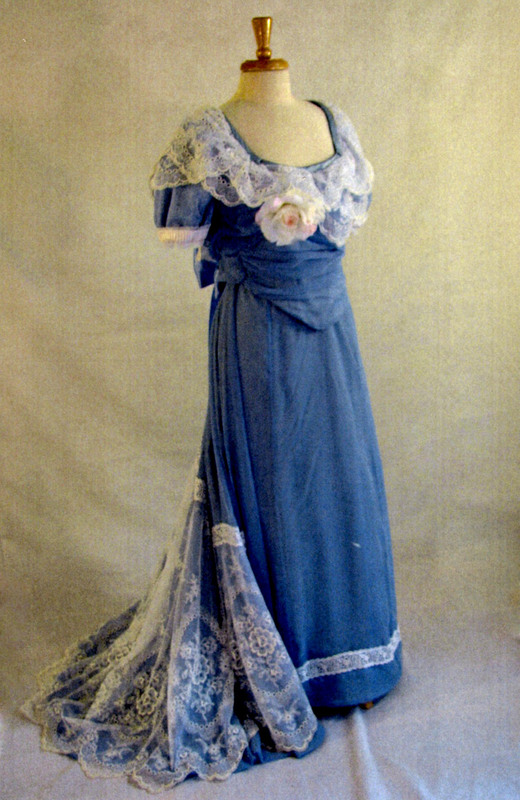 This dinner dress uses the basic skirt pattern without the multiple layers, or the large and small rows of flouncing typical in a late 1890’s ball dress. 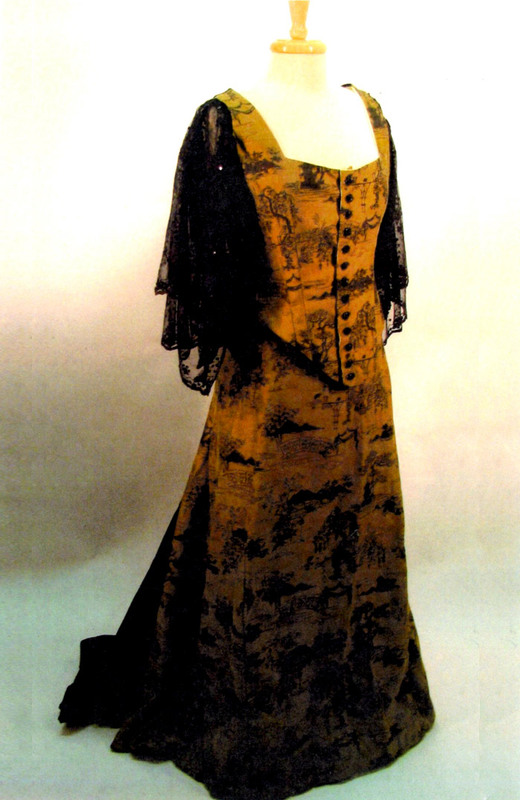 A chinese matte finish damask fabric in gold and black was used, adapting the skirt to a flat front to the floor. 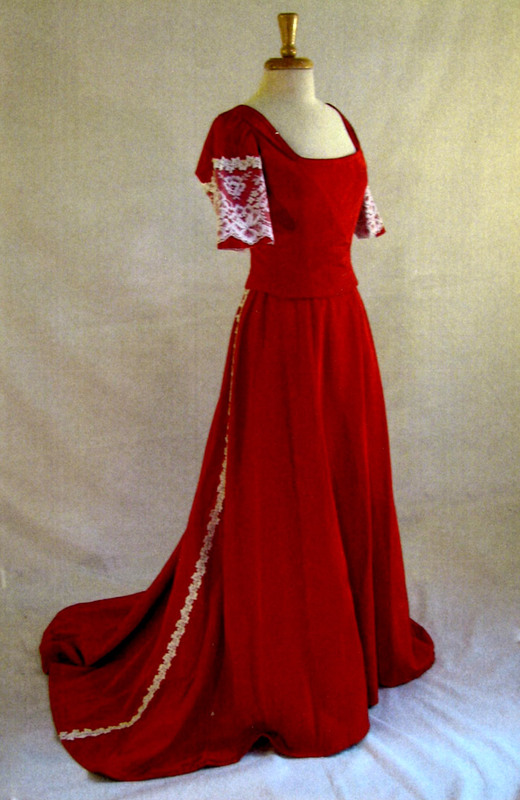 Because of fabric limitations a supple rayon velvet was used for the back panels creating the short train. 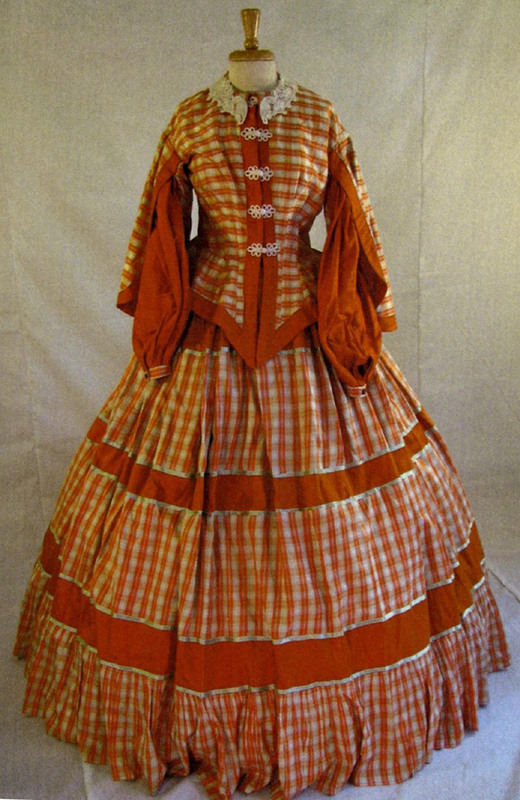 There is a simple taffeta petticoat with an eighteen inch wide flounce and short train worn underneath. 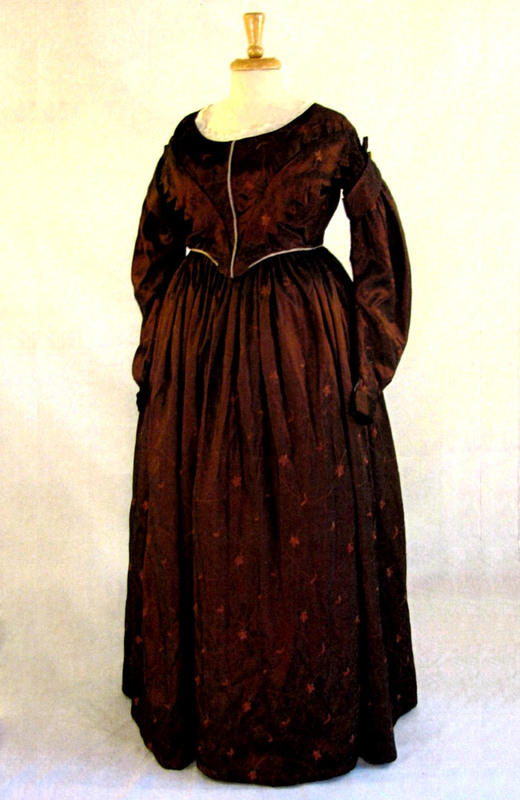 The long point front bodice with it’s front button closure was maintained. 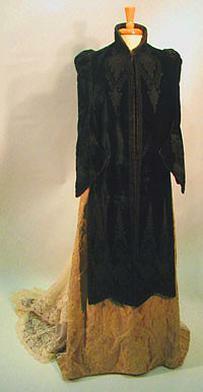 The back is built from the same rayon velvet as the train enhancing the line. The bodice is lined in a soft moire’ taffeta and lightly boned between the layers as the inside is bagged and completely finished. The inside hem finishing, applied by hand is in the black velvet as well. 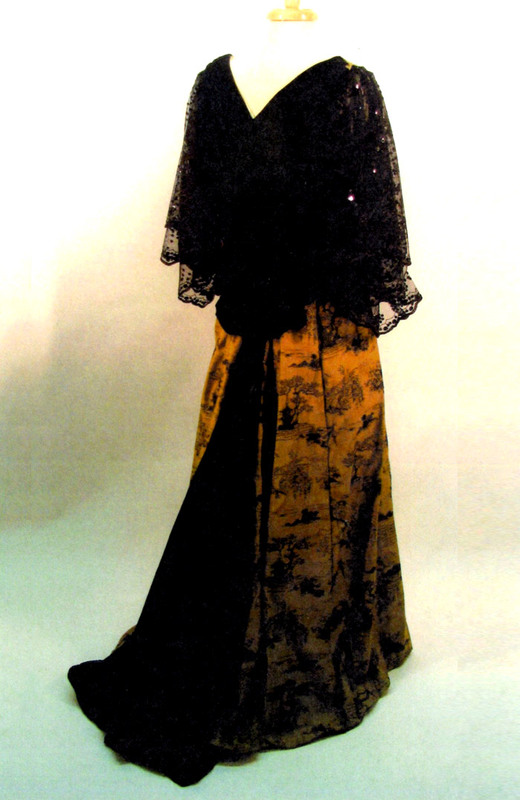 The loose lace sleeves in two layers and decorated with tiny black sequins are applied as one by hand to the arm’s eye, and fall gracefully to the wearer’s forearms. 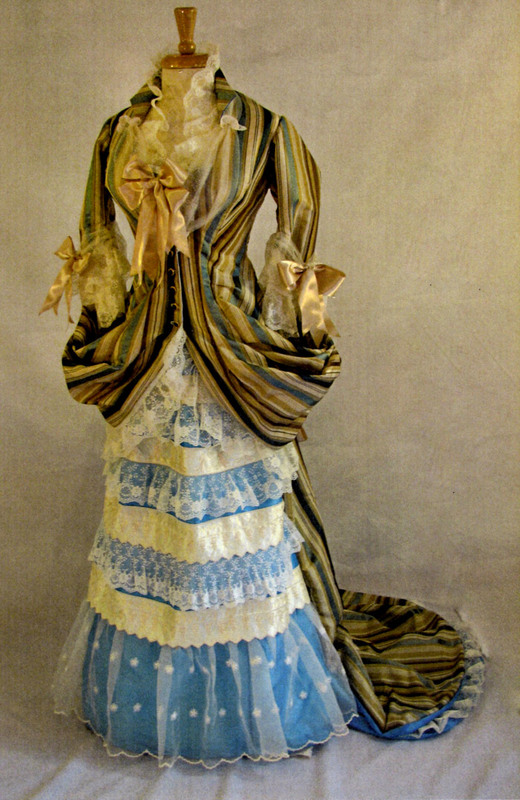 The hand applied lace galloons are feature kept from the original dancing dress. The twelve buttons are sculptured black glass, adding an additional sparkle when worn in candlelight. Jet jewelry and hair ornaments would add wonderfully to the overall appearance of this ensemble. Get Social With Us Today! Follow us on our social networks and stay informed of our services and products.